Come help support the Blue Ridge Music Hall of Fame and enjoy an evening of wonderful music provided by The Kruger Brothers and The Trailblazers. All show proceeds go to the Blue Ridge Music Hall of Fame. In addition to entertainment, concepts for the renovation and expansion of the Hall of Fame will be debuted. Tickets are $50 in advance / $55 at the door. 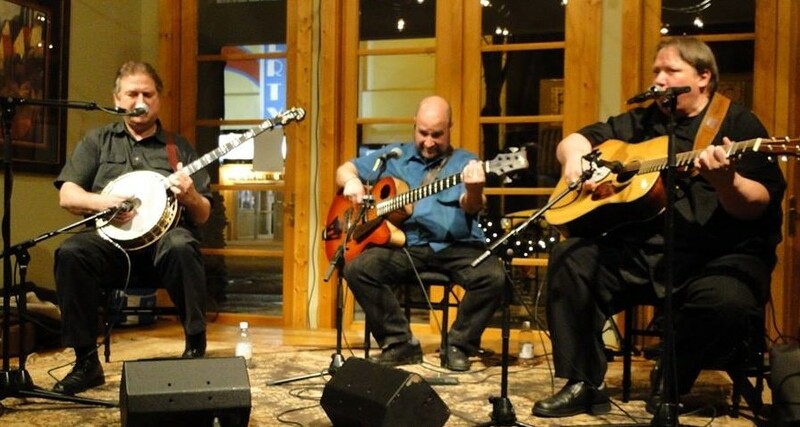 In an ever-expanding body of work, Jens Kruger (banjo, vocals), Uwe Kruger (guitar, lead vocals), and Joel Landsberg (bass, vocals) personify the spirit of exploration and innovation that forms the core of the American musical tradition. Although initially staying fairly close to a traditional repertoire, the Kruger Brothers later turned to song writing and composition in order to draw more closely from their personal experiences. The result is a catalog of songs and music distinguished by its rich detail and an insight into the delicacy and complexity of everyday life. also differentiated by long melodic passages and a more complex compositional foundation, often building on jazz or classical themes and techniques. The recording that cemented the Kruger Brothers’ sound and song writing, Up 18 North, was released in 2002 on the Double Time label. Included were a number of tracks that signaled the direction that the band was to take in future projects. The title track “Up 18 North” is an instrumental piece, with banjo clearly in the foreground, that remains a prime example of the type of close ensemble playing that characterizes the trio’s work. The vocal track “Carolina in the Fall” is an early example of the very personal, resonant, and mature song writing that they continue to this day. Most recently their music has ventured further into the themes and forms of classical music, most obviously in their 2011 release, Appalachian Concerto. Through their numerous CD releases, radio and television performances, workshops, and collaborative efforts, the Kruger Brothers continue to provide a unique voice in the world of folk, Americana, and classical music.